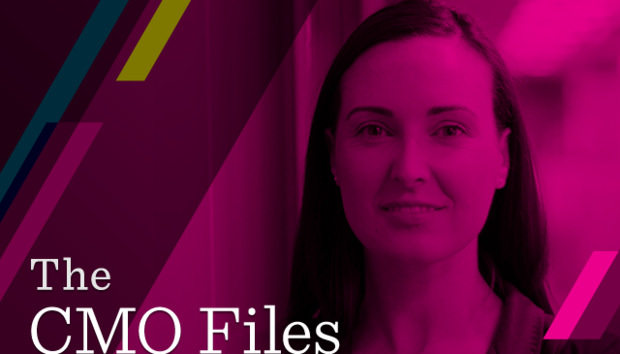 Ashling Kearns is UK&I Marketing Leader at Salesforce. She is responsible for driving marketing awareness and sales pipe generation across the region. Kearns joined Salesforce six years ago and is focussed on bringing her wealth of knowledge to foster an innovative and high-performance marketing team. Having spent 17 years working in the technology sector, she has worked with brands such as BT Global Services. Microsoft and Avanade. What was your first job? From an early age I was really into Irish dancing, so technically my very first job was in corporate entertainment. As part of my dance school we would perform across Ireland at company events/offsites. It was a lot of fun and I learnt a lot about working as a team. What was the first product you got really excited about? Lego. I remember it being a big part of my childhood, and now as an adult too I've remained brand loyal and admire and respect their values. I don't think there is anyone who doesn't love receiving Lego as a gift! Who has been the biggest influence on your career? I grew up in a very entrepreneurial family, my mum and dad ran their own business so I was exposed to both the challenges and rewards of being a business owner. In my early twenties, at the first company I joined after university I was very fortunate to be taken under the wing of the GM. To this day, I credit him for shaping my views about marketing. He taught me the value of integrated marketing, and the importance of making sure the function is not siloed in a sales organisation. What has been your greatest achievement? I'm not sure if I can pinpoint one big achievement, I'm a believer in appreciating the small things that inevitably add up to become something more meaningful. An integral part of how I live and work is to make connections with people authentic. What has been your biggest mistake? I wouldn't say I've ever made a huge standout mistake. I think throughout your career you make small errors that you learn from to ensure you continue to learn and grow. What is your greatest strength? I pride myself on finding ways to bring people on a journey. In a global organisation like Salesforce it is crucial to ensure your team members feel like they are part of the bigger picture and have clear career path. What is your biggest weakness? Early on in my career I would have said showing vulnerability is a weakness, but I've learnt from great leaders that vulnerability is actually a gift. Showing it as part of your leadership and management style means colleagues feel like they can connect with you on a more human level. What do you think is the aspect of your role most neglected by peers? I think there is a danger for marketeers to take their internal structure, external. Internal restrictions actually impact how we place the customer at the heart of the plan - so keeping this front of mind is paramount. Which word or phrase is your mantra and which word or phrase makes you squirm? There is a lot of jargon in Marketing. I'm not a massive fan of it, I think it's much more effective when people just say what they mean. What makes you stressed? I'm really conscious of my well-being and mental health, so I work hard to have a good work/life balance. I think an easy first step in achieving this is writing lists so you can clearly see what you have on and to allow you manage your time. What do you do to relax? I enjoy running and find it incredibly therapeutic. It gives me head-space. What is your favorite song? Anything George Michael. Or The Beach Boys. Or Blondie. Which country would you like to work in? 18 months ago my answer would have been London. I moved here from Amsterdam and I think it's safe to say I'm very happy and content. For now, I've found my new country. Which company do you think has the best marketing? The campaign that I really admired most recently was "Get the inside out" by Lloyds bank which looked to encourage more open conversations around mental health. But having said that, one of our own customers, Rituals, I think is a great example of a company that uses great Marketing every day to offer their customers a personalised experience both online and offline. For example, Rituals uses Salesforce DMP to support its expansion with smarter, more targeted marketing. It's this "smart" everyday marketing that is paramount to the success of brands today. What do you love most about your job? It has to be the people. My team are great to work with, but I also thrive on helping people develop. What keeps you awake at night? Aside from my 20-month-old child, ensuring my team are happy and have a good career path is important to me. I want people to feel like they are working in the best career of their lives.